Christian from Uganda ordered to leave country. NAIROBI, Kenya (Morning Star News) – Security agents in Sudan padlocked a 500-member church’s building on Aug. 24, said Christian sources who fear the government may try to sell it. 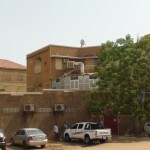 In the latest incident in a nearly two-year wave of church demolitions, closures and confiscations, Sudan’s National Intelligence and Security Services (NISS) forcibly closed the Sudan Pentecostal Church (SPC) church building in Khartoum, which houses the Khartoum Christian Center (KCC). “The church is concerned that the building might be sold by the government, which renders more than 500 worshippers to have no place for worship,” a source who requested anonymity told Morning Star News by phone. Since the locking of the church building, pastors have received threatening messages from NISS agents that they risk being arrested, another source said. Though the government has stated that the closure is temporary, officials have given no timeline, a source said. The government says that it is closing the church building because it was originally designated as office space. “How do you close a church building that has been in operation for 20 years in the name of the church being meant for offices?” the source said. The church has a deed showing it owns the building and property, sources said, raising the question of the government’s right to sell it. “We are hearing rumors that the government will later repossess the church building and sell it,” a source said. The government has notified the SPC Council that it has decided to close the church and that the congregation should look for another place of worship since the building was designated for offices, an SPC official told Morning Star News. “KCC, which is also my home church and the place where I as a northern Sudanese came to know Christ, has continued for more than 20 years to provide the most spiritual manner of service, a shining center against the darkness of the enemy, and a worshiping refuge where many Sudanese from different ethnic backgrounds and countries worship freely the Lord of Lords,” a source said. NISS had initially closed the church on Aug. 13 but later reopened it on the condition that it allow officials to find others to manage church finances. The government is seeking any loophole or pretext for closing churches, sources said. One of the sources said that with God all things are possible, and that the church needs intervention and advocacy in the face of the violation of freedom of worship. “As we firstly rely on our Lord’s grace and protection that His name will be glorified through this tribulation the SPC is passing through, we also urge you to send this message to wherever you see it’s convenient for help,” the source said. 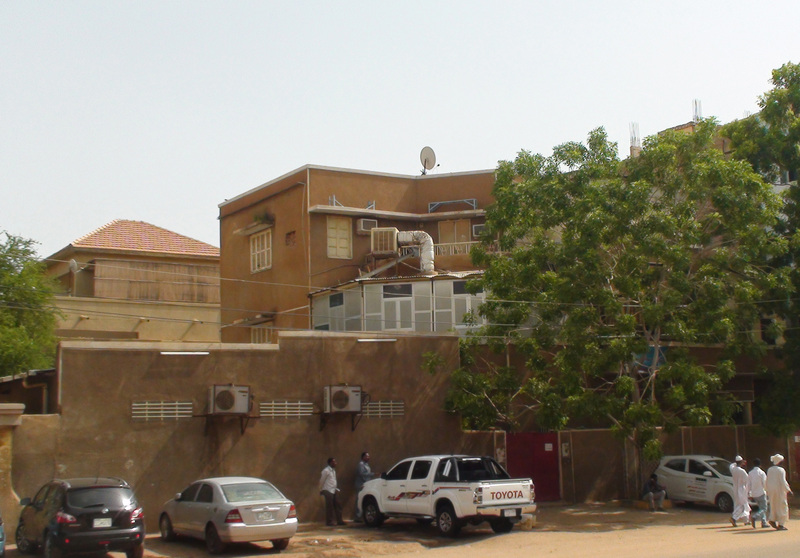 On June 30 bulldozers demolished the Sudanese Church of Christ in the Thiba Al Hamyida area of North Khartoum as church members watched, with security personnel threatening to arrest them if they tried to block their efforts, church members said. Earlier in August, the government expelled a Christian from Uganda because of his activities with the KCC, sources said. Officials on Aug. 9 gave Sam Onapa, an active member of the KCC, 24 hours to leave the country, they said. Officials escorted him to the airport. On Feb. 17, bulldozers accompanied by local police and personnel from the NISS destroyed the Sudanese Church of Christ building in the Ombada area of Omdurman, across the River Nile from Khartoum, without any advance notice. Officials gave no reason for the demolition except that, as it was located in a “Muslim area,” the 300-member church was not wanted there, a church member said. Another source, a church leader, confirmed to Morning Star News that authorities destroyed the building and confiscated the land without warning. The orders came from the Ombada locality, or city council, sources said. Following the secession of South Sudan in July 2011, Sudan since 2012 has expelled foreign Christians and bulldozed church buildings on the pretext that they belonged to South Sudanese, but officials did not offer that basis in this case. Harassment, arrests and persecution of Christians have intensified since the secession of South Sudan, when President Omar al-Bashir vowed to adopt a stricter version of sharia (Islamic law) and recognize only Islamic culture and the Arabic language. Besides raiding Christian bookstores and arresting Christians, authorities threatened to kill South Sudanese Christians who do not leave or cooperate with them in their effort to find other Christians (see Morning Star News). Due to its treatment of Christians and other human rights violations, Sudan has been designated a Country of Particular Concern by the U.S. State Department since 1999, and in April 2013, the U.S. Commission on International Religious Freedom (USCIRF) recommended the country remain on the list. Many foreign Christians have been expelled from the country, and others have fled.